You have only an hour to save Dr. Carter! You have just 60 minutes to help Jacques break the Buccaneers curse before he sinks with the ship and becomes a disembodied deckhand and swabs the poop-deck for eternity! 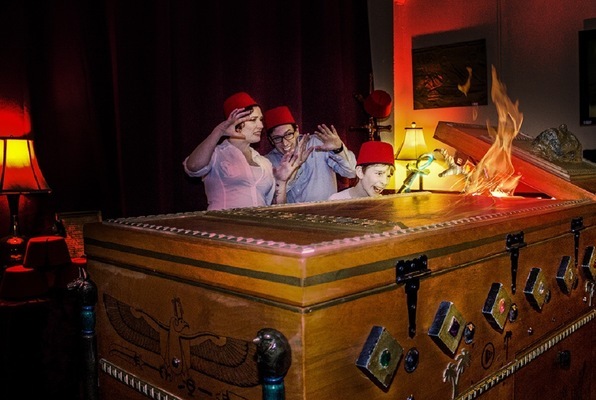 Last reviews of escape rooms by "Hourglass Escapes"
Just had a great time with some friends doing the "Rise of the Mad Pharaoh". Really creative puzzles with some great Egyptian magic! Took 5 friends that had never been done an escape room before and they loved it. I played Rise of the Mad Pharoah with a group of friends this past week and it was INCREDIBLE! Everybody worked to their strengths as the clock wore down. The puzzles were just hard enough for us. The actual room looked like something out of a film - great decor and some fun "easter eggs" to discover. 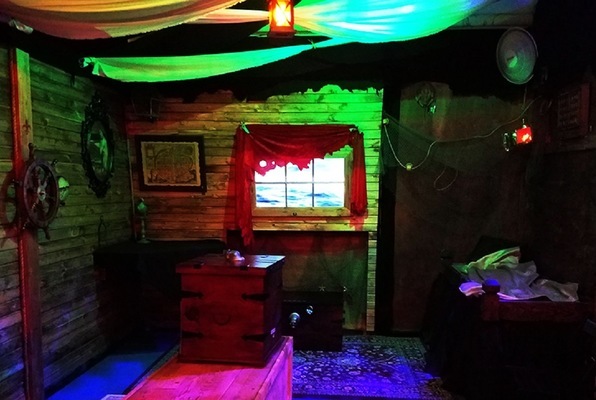 By far one of the best escape rooms in Seattle! In this one, it wasn't US who needed to escape - instead we needed to solve a puzzle in the room to help someone ELSE escape from somewhere else... can't say more than that, wouldn't want to spoil the fun! There's an engaging story with cleverly integrated roles for each of the attendees, unique puzzles that stand out from the usual barrage of combination locks, all put together by a warm and friendly curator (Seth) who loves what he does, and truly cares about the experience you have. AND - there's free parking right across the street. Can't beat that! A remarkable experience, superb for team-building and for bonding with family and friends! Good for kids, too - I'm planning on returning with my nine year-old. It feels like you're in a movie set room at Universal Studios, except that you're allowed to interact with and touch everything! This was my third foray into playing an Escape Room, and it did not disappoint. Our group was blown away at the puzzle props, music, and tech used in the room. Rise of the Mad Pharaoh is an immersive, superfun mind-bender, and it executes the Mummy adventure/mystery theme flawlessly. It is challenging and I recommend taking a group of 6-8. We went to Hourglass Escapes the day after thanksgiving as a family event - we had 8 people which seemed like the most you would want, even though they allowed for 9. We had a really great time. The story was intriguing and facilitated really well by the 'curator'. We nearly completed the challenge - only had about one puzzle to finish before we ran out of time. The challenges required creativity and teamwork - it was a great experience. The props were well made and full of surprises. This was a great experience and would highly recommend!